Dr. Aaron Shenhar on how the next generation of project management will transform project management practitioners into strategic leaders focused on business results. Dr. Aaron Shenhar says that the Project Management profession is ready for the next generation in its evolution. Projects today are more complex, more uncertain, and faster changing than ever. Just meeting the project’s triple constraints is insufficient to guarantee its business objectives. The next generation of project management will transform project practitioners into leaders who must deal with the strategic, business, and leadership aspects of their projects. Dr. Shenhar provides an overview on Strategic Project Leadership, a framework that helps organizations deal with their projects in a flexible and adaptive way, and focus their projects on business results. 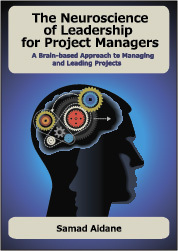 He also describes a model that helps organizations identify the differences among projects and how to adapt project management style to the specific project characteristics, environment, and context. Dr. Shenhar is widely regarded as one of the world’s leading experts in project management, innovation, and execution leadership. He was named, “Engineering Manager of the Year,” by the Engineering Management Society of IEEE, and was the first recipient of the Project Management Institute (PMI) Research Achievement Award. Dr. Shenhar is a Fellow and Member of the Science Council of NASA USRA Center for Program and Project Management Research. How is the rapid change in business and technology that we are going through today impacting the way we manage projects? You talk about the limitations or myths of traditional Project Management being: Efficiency Based, Process Based, One Size Fits All, No Specific Business Focus. Can you talk about these myths and the gap that you see exists between what the Project Management discipline says and the reality of projects today? You will be presenting at The Project Zone Germany 2013 Congress in Frankfurt, between March 18 – 19.Your Keynote title is: Next Generation of Project Management – Leading strategic projects and having fun. You say that Project management must evolve into Strategic Project Leadership. Can you give us high level overview of the Strategic Project Leadership framework? One dimension of project management that you say will need to change is how we define the role of the Project Leader. Can you talk about how you see the responsibility of the project leader? Another dimension that needs to evolve is the type of Project Organization and Processes used for structuring and managing projects. You say that Organizations should understand that “one size does not fit all projects” and that they should use frameworks that will help them distinguish between different project types, and adapt project management style to the right project. You offer a framework for analyzing a project’s specific context and for selecting the right Project Management style. Can you provide us with an overview of the model? Finally, what do you see as some of the key leadership skills that are required in the next Generation of Project Managers for organizations to meet today’s challenging business environment? After a first career as executive in the defense industry, Dr. Shenhar served as tenured professor at several universities where he founded new academic programs, including the project management programs at Stevens Institute of Technology and Rutgers University. He is one of the most published and cited authors in project management, and his work has influenced project and technology management research and education throughout the world. He served as consultant to major corporations such as 3M, Intel, NASA, Honeywell, Dow Jones & Co., U.S. Army, and Tata Group. 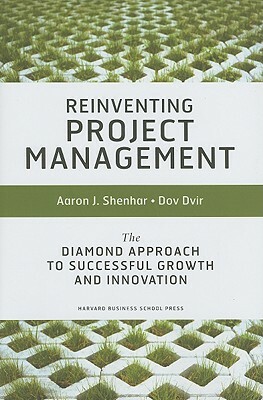 He is co-author of the recent book, Reinventing Project Management, published by Harvard Business School Press. The book was selected among the top five best business books of year. 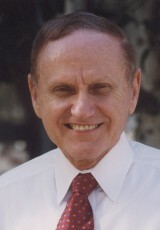 He is currently the CEO of The SPL Group that is dedicated to aligning projects with business. Thanks for highlighting these key questions. Many project managers often find it a daunting challenge to manage projects in a global environment. With more and more companies outsourcing major processes, the next generation of project managers must be dynamic and innovative. Thank you for for the feedback for the feedback. Glad you found the interview helpful. I have run project management teams in the global investment banks and the leadership aspect is a real problem. The matrix structure of the organisation means that many of the teams involved will choose to stick to their own priorities, with some playing political games to trip up the PM. Its very often just seat of the pants and trying to build relationships good enough to make things happen. Most project plans are complete guesswork and are rarely achievable. Its not working, a whole new paradigm is required. I can’t agree with you more. What you say is especially true in IT projects. Indeed, we desperately need a whole new paradigm as the old one is no longer sustainable. I welcome the opportunity to chat more about your thoughts.